We are strong believers in word of mouth and are very proud of the reviews and feedback we have received over the years, below is just a small snippet of those. My youngest daughter has just joined the nursery and has fitted in without any trauma. She is happy and well looked after and I am impressed with how flexible the staff are with regards to her individual needs. My eldest is also at the After School Club and loves it. My daughter has been going to the nursery since she was 6 months old. 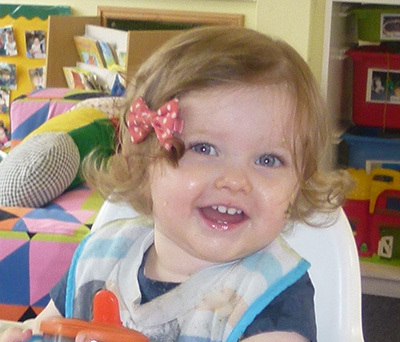 The nursery ensures that her needs are met with staff that care and nurture her within a setting that stimulates and makes her smile. My son has been at the Hunny Nurseries for several months now and although I am always anxious when leaving him I feel 100% assured that not only does he receive all the support he needs, I will be kept informed about how he is doing over the long and short term. I find all the staff take the time to get to know the kids and the nursery feels all the more familiar and friendly because of it. Louis very much enjoys his time at nursery, he has made lots of friends and enjoys all the social and practical activities. The Hunny Nurseries is a highly equipped pre-school. The friendly, well trained staff devote their time to care and teach the children with a variety of activities, that encourage children’s development, and they have lots of fun. It’s home from home. My daughters Katie(4)+ Jessica (2) have attended the Hunny Nurseries since they were 6 months old. Both are extremely keen to attend nursery and really enjoy their day. I find all the staff extremely friendly and keen to encourage and support the girls development. I go to work knowing Katie and Jessica are well cared for, happy and safe, which means a lot. My son has been with the nursery for 2 years. I have watched him learn, make friends and most importantly enjoy his time there. The staff are polite, friendly and professional. I’d strongly recommend this nursery to anyone. 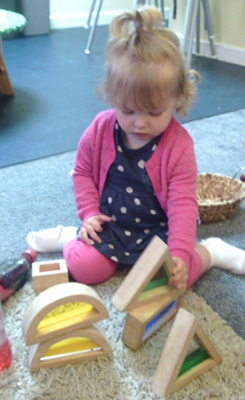 There is only one word that I can describe the Hunny Nurseries Day nursery and that is ‘FANTASTIC’! Everything about the nursery is truly centered around the children and the staff in all the rooms are so caring and professional. I would not hesitate to recommend the nursery to any parent. Thank you for the love and support you have given to my children. When my son attends the Before and After School Club he really looks forward to it, this means I know he is happy and if he’s happy, then so am I. The range of activities provided is fantastic.